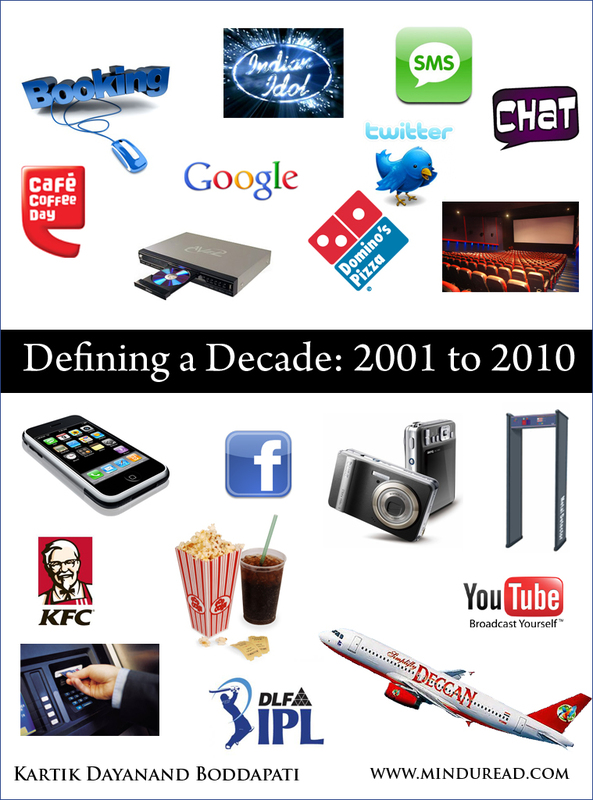 Defining a Decade: 2001 to 2010!!! Ten years have passed and ten million things have changed in our lives since the beginning of the new millennium. This post is my humble attempt to capture some of the changes that our world has undergone in the last 10 years. I also request you to consider this post like one of those chain mails where the mail is incomplete without your comments on it. Please feel free to add to the list. Note: Most of the things on this list are so simple that one might think why I mention them in the first place. But let me remind you my friend, the 90’s and the decades before them never had any of the simple things we enjoy today and take for granted.